Vivo Energy has once again demonstrated its leadership position in product innovation by launching Shell Advance onto the Ghanaian market. Shell Advance is a motorcycle engine oil designed with the advanced Response, Control, Enjoyment (RCE) technology that keeps motorcycles in peak condition, and responsive to the slightest touch. Specifically designed for motorcycles, the oil comes in two variants; Shell Advance AX3, a mono-grade which comes in a red bottle and Shell Advance AX5, a premium multi-grade which comes in a yellow bottle. Among the key benefits of the Shell Advance motorcycle engine oil are its active cleansing ingredients which protects the engine from wear, minimises vibration and reduces engine noise – giving motorbike riders a smoother quieter ride. The new RCE technology of Shell Advance delivers exceptional reliability of oil performance, through careful formulations of the highest quality additives and base oil to enhance protection. Shell Advance also enhances control by helping to optimise gear shifts, smooth clutch engagement, and prevent slippage. It also increases ride enjoyment by reducing vibrations and dampening engine noise. Speaking at the launch of the products, the Country Lubes Sales and Marketing Manager of Vivo Energy Ghana, Mr. John-Doe Samlafo, said Shell Advance is designed to offer reliable, durable and quality protection for all motorcycles to meet the unique needs of motorcyclists. “Motorcyclists will now enjoy the thrilling performance of their motorcycles as Shell lubricants are endorsed by the world’s top vehicle manufacturers including Ferrari, Mercedes, BMW, Toyota and the world’s leading motorbike brand, DUCATI,” he said. In a speech read on behalf of the Northern Regional Minister by Mr. Philibert K. Kuupol, the Metropolitan Coordinating Director, he commended Vivo Energy Ghana for the launch of Shell Advance motorcycle engine oil which will be a source of relief for all motorcycle owners and users. “It is also appropriate to commend Vivo Energy Ghana for being a business that recognises the needs of its consumers and consistently designs innovative products and services that meet those needs,” he said. As part of the launch and in line with its community investment initiatives on road safety, Vivo Energy Ghana also presented fifty (50) motorcycle helmets to motorcyclist who attended the programme. Vivo Energy’s Communications Manager, Mrs. Shirley Tony Kum, also used the occasion to advise motorcyclists on good road safety behaviours. 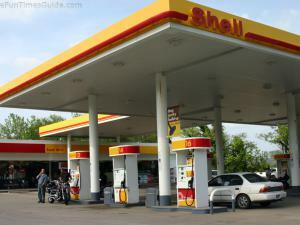 Shell Advance is now available at all Shell service stations nationwide, and lubricants shops, to give motorcyclists the optimum performance from their bikes.